Donate at Foodland SEPT 1-30 Annually ! 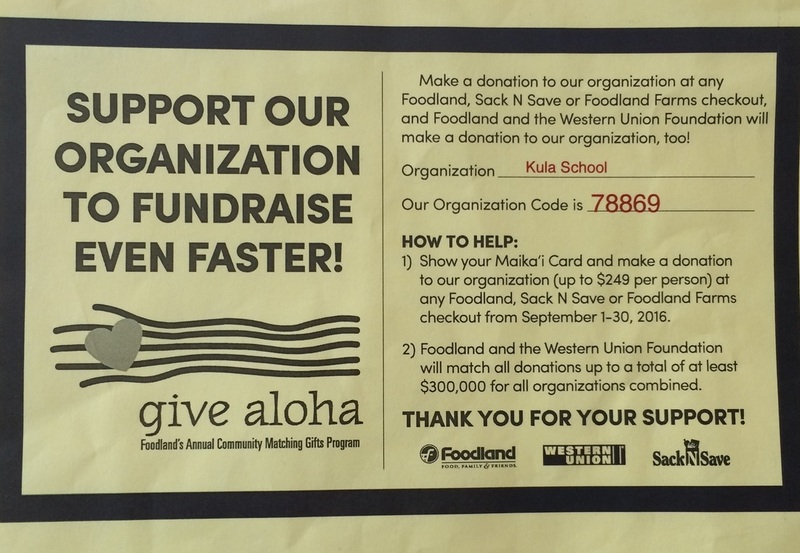 Kula School is participating in Give Aloha, Foodland’s Annual Community Matching Gifts Program. 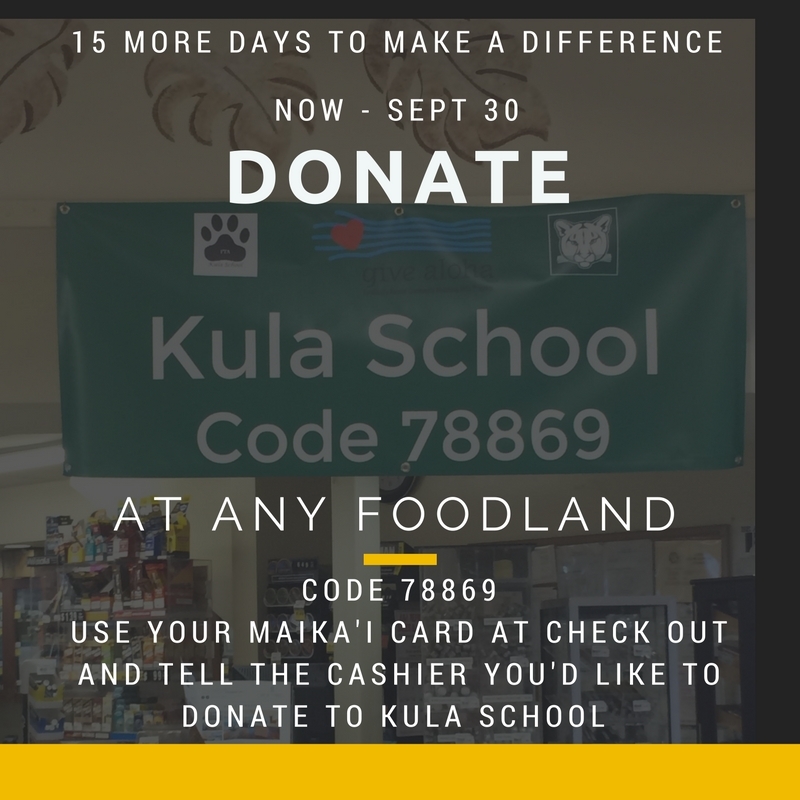 At checkout, present your Maika'i card (or give your 10-digit number) and inform the cashier that you would like to make a donation to Kula School, code number 78869. If you do not have a Maika'i account, you may establish one by telling the cashier you would like to do so; you will need to give a unique 10-digit number (such as your phone number). ​Are These Donations Tax Deductible?